We love each and every one of our horses for their unique spirit and character. We make sure that they are happy and well cared for. We use the gentle techniques of Parelli Natural Horsemanship using love, language and leadership that fosters a relationship of trust and respect. We pay particular attention to the Parelli “Horsenalities” which helps us to understand our horses particular character traits so that we can be the best human we can be for our horses. 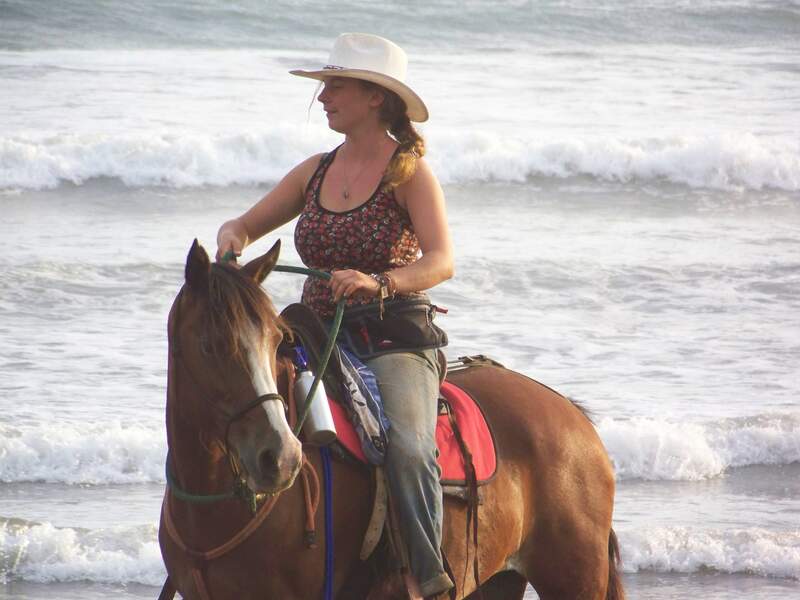 You will love playing with and riding any of our ten beautiful Costa Rican Criollo horses of all horsenalities and various levels of Parelli training. At Barking Horse Farm our horses come first. We pay close attention to health and nutrition. 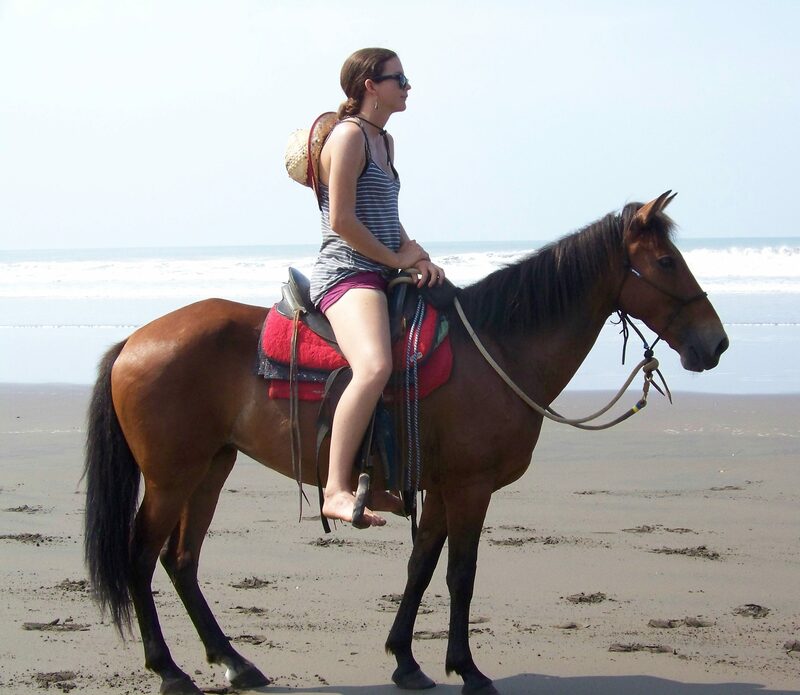 We strive to maintain all of our horses in the best physical condition possible. We buy the highest quality feed available in Costa Rica and provide vitamin and mineral supplements throughout the year. Every three months our horses are assessed and receive a ‘condition score’ which is correlated with their activity and feeding records to provide us with a clear view of their nutritional needs and how we are meeting them. At three month intervals the horses are de-parasited, twice a year they are vaccinated and tested for Equine Anemia. They are kept free of ticks and other skin parasites. We provide a living situation as close to natural as possible. They live in the natural environment of a large pasture where they can relate to each other in the herd setting. They have several months “off” each year where they live in the pasture just being horses. We keep them barefoot with barefoot trims during this period. We prepare the horses. Before the busy season begins we follow an exercise program that gradually increases their activity to build their strength and musculature so that they can easily meet the physical demands of the busy season. Scroll down to meet some of the Barking Horse Farm horses. We hope that you will enjoy them as much as we do. Marshal joined us in 2014. He is a responsive and trusting. Lancelot is fun and mischievious. He is one of our gaited horse. 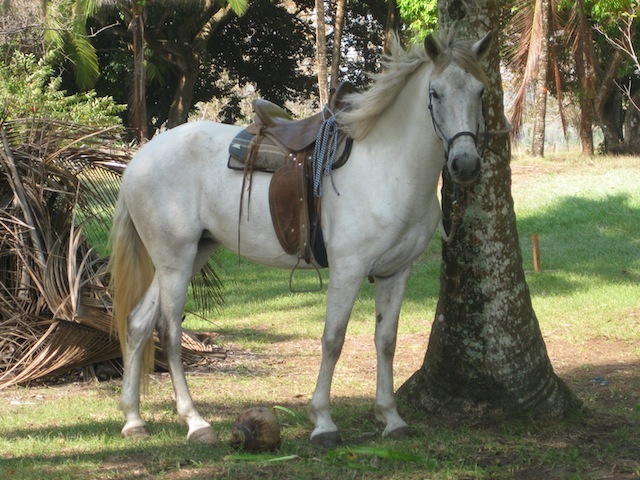 Silky was my first horse in Costa Rica and the first horse I had ever owend. Given to me by my neighbor when we first came to Costa Rica in 2003 to get around the small mountain village where we were living. 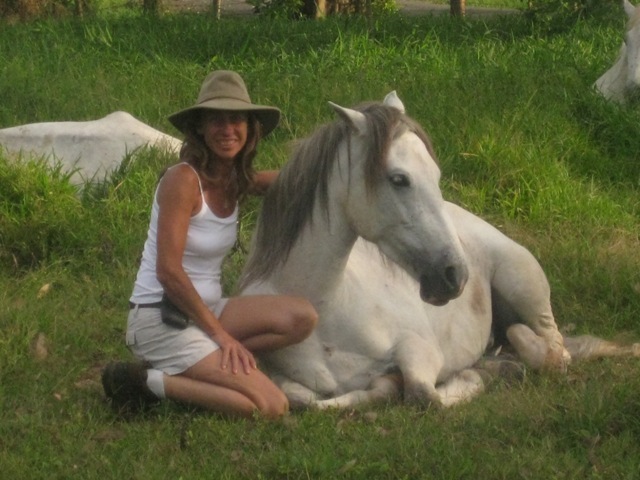 It was with her that I began my natural horsemanship journey. 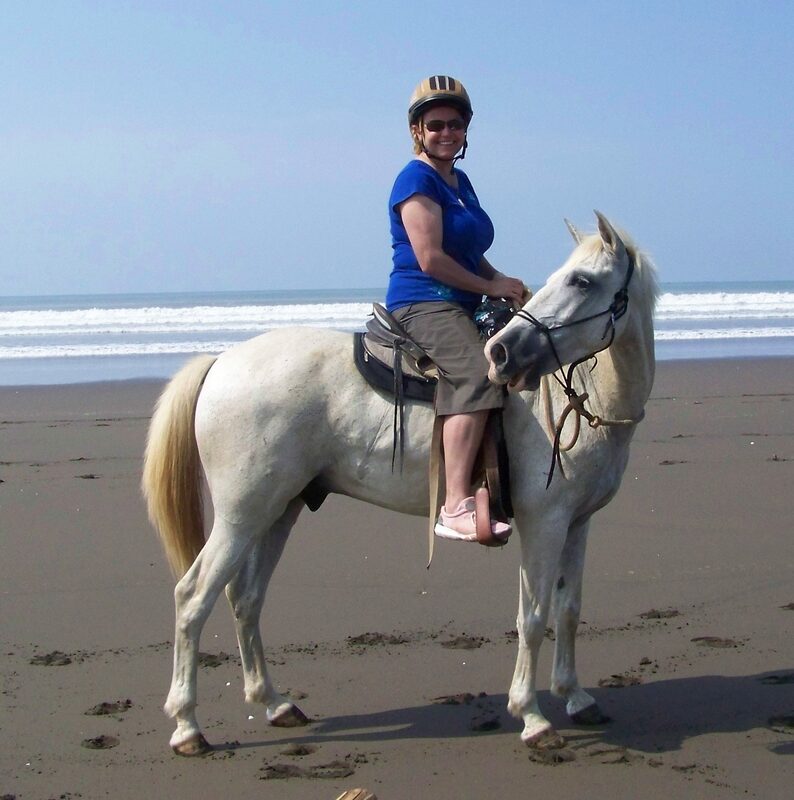 Semi retired now, she doesn’t ride the long treks to the beach any more. She is our perfect “kid” pony. Casique joined us in February 2012. A great all around horse, he loves to please. When we aquired Beauty in Oct 2012 she was abandoned and starving. She has made a good recovery although she still requires exta care to keep her weight on. 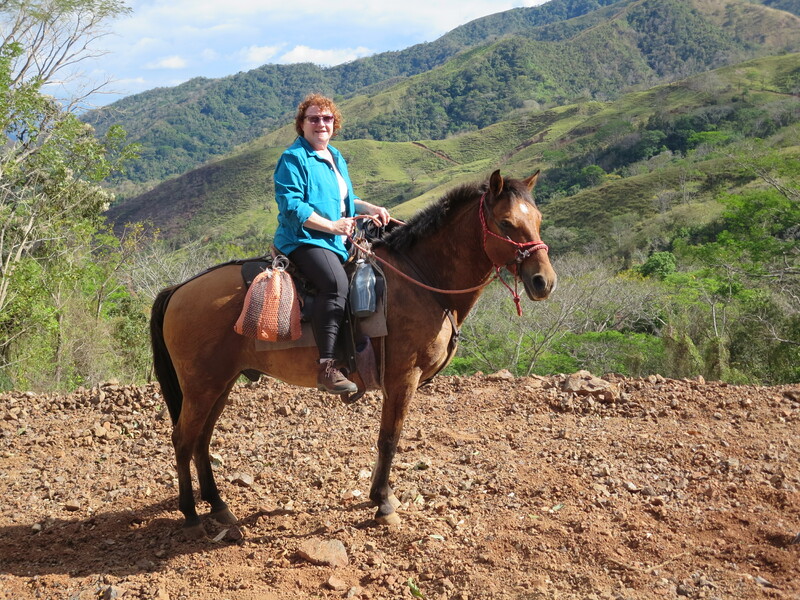 We have been delighted with her responsiveness and eagerness to join us on trail rides. I bought Linda with her mother when she was 3 days old in 2004. She is a left brain introvert. She was started with Parelli. She is calm, gentle and thoughtful. She is playing level 3 games. She is a wonderful partner and a great teacher for me. Noel was born on the farm, on Christmas day. Raised with Parelli and lots of love she is friendly and curious about every one and every thing. Light on her feet and brave on the trail she is lots of fun. She is a charming and playful left brain extrovert who enjoys learning tricks.